The pattern looks great and I’m excited to try it as it is probably one of the more complicated patterns I’ve done (I’m a somewhat-begginer ). I don’t know a lot about different types of yarns so do you think this pattern would work for a bulky and slightly fuzzy type of yarn (I have a bunch of Bernat Alpaca dark yarn lying around)? 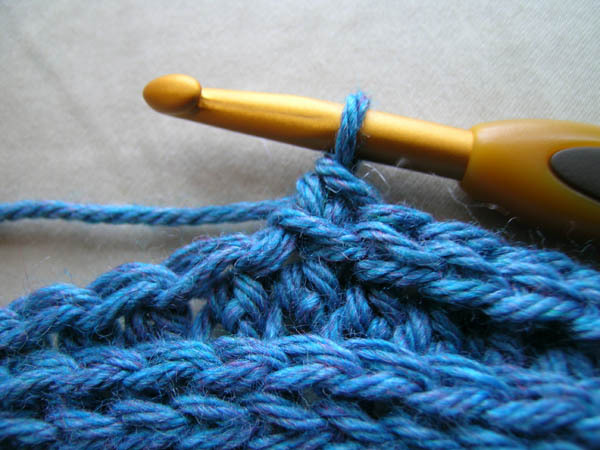 Also, what was the finished length of your scarf? Is that the Bernat Naturals Alpaca? I made a scarf in it last year and it was VERY scratchy to wear (and sheds all over everything). So soft to work with though. What a trick. 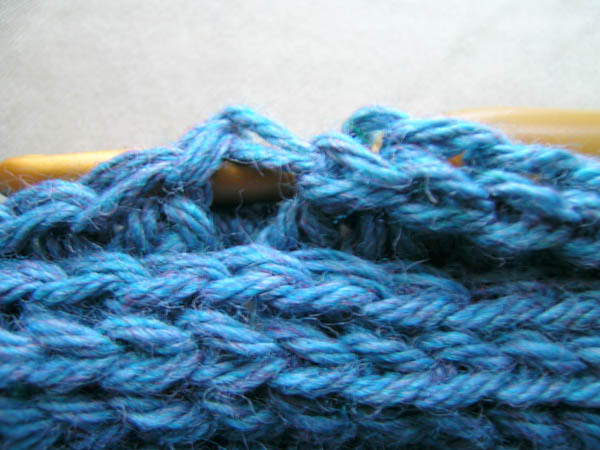 Using a bulkier yarn, you’ll end up with a bigger scarf. You could probably start with 149 stitches, maybe even less. Your final scarf will be wider too. Wool will show the stitches better, but the Bernat Naturals Alpaca does have some stitch definition. I’m really not sure how it would work out. Give it a try and see how you like it. I’d love to see pictures and know how it goes. 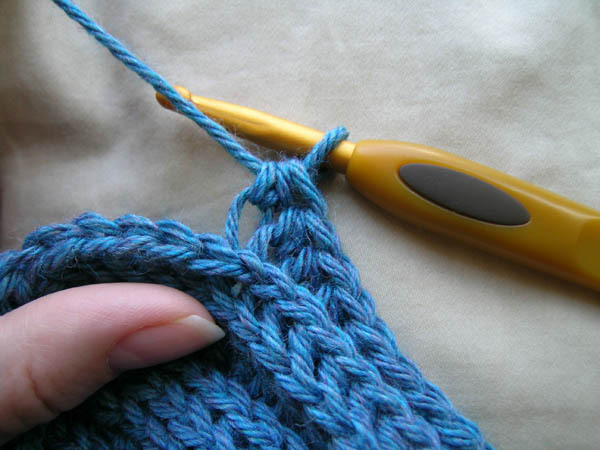 You may want to go up to a K hook so your stitches aren’t too tight. Hopefully working the BBL rounds won’t be too tough. The finished size is 46″ x 5 1/4″. 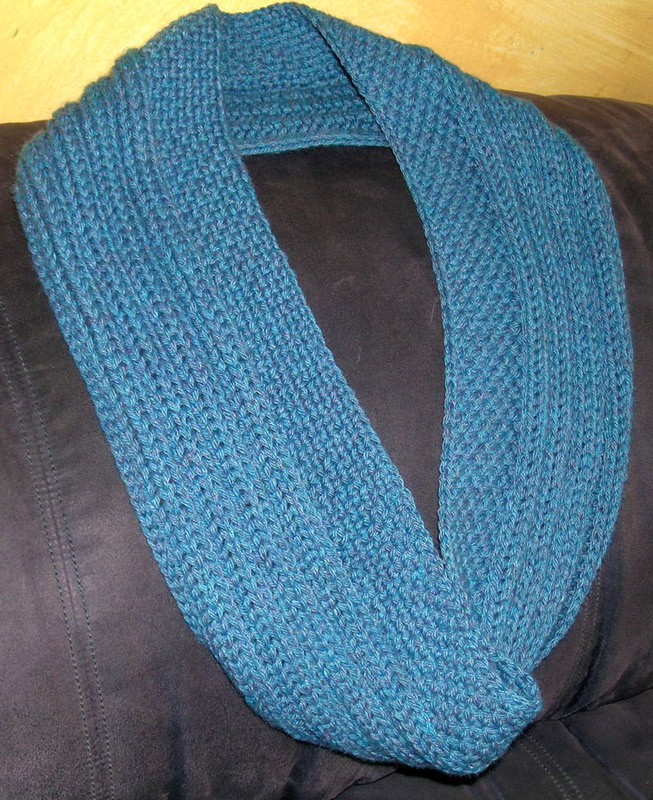 The measurement is from the longer side of the scarf. 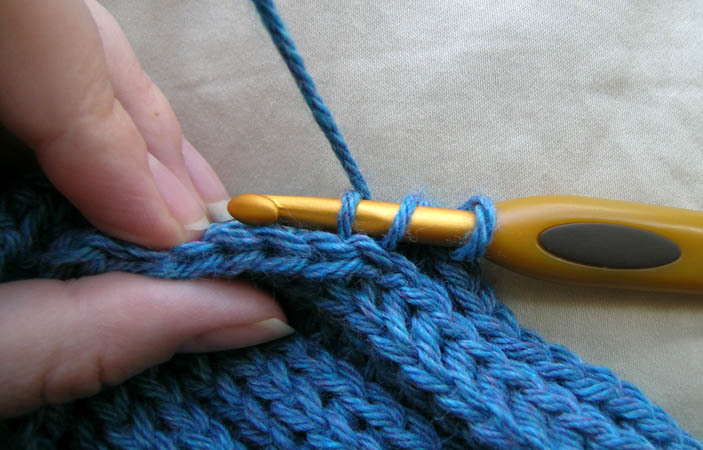 After you connect your first row, determine if it is the length you want. 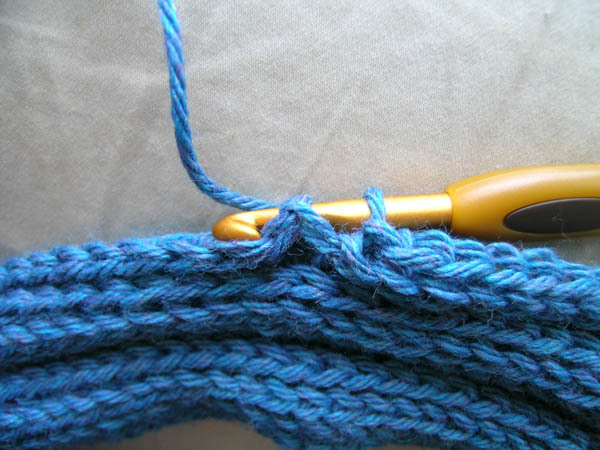 If you want it longer, add more stitches in 2’s, if you want it shorter, have less stitches, in sets of 2’s. Let me know if you have questions. The special stitches make it a little tricky. Yup, that’s the one, in the Ebony colour. I bought two skeins of it because it was so soft and I got an awesome deal on it. 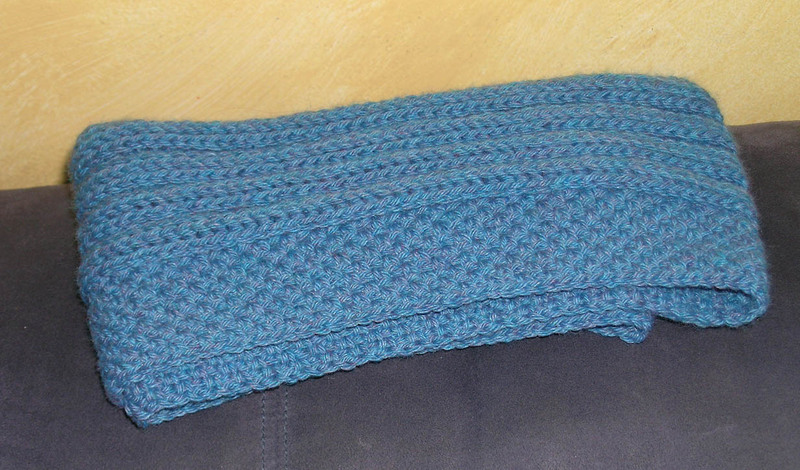 I tried a chunky cowl pattern with it (http://peoplewebs.blogspot.com/2011/01/pattern-chunky-circle-scarf.html) but ripped it all out after 6 rows because you couldn’t see the pattern very well (maybe because of the texture or the colour). I figured something ribbed might work better. I started out last night with a 6.5mm hook. I’ll try it for a bit and see how it goes and I’ll definitely post a picture of what I get. 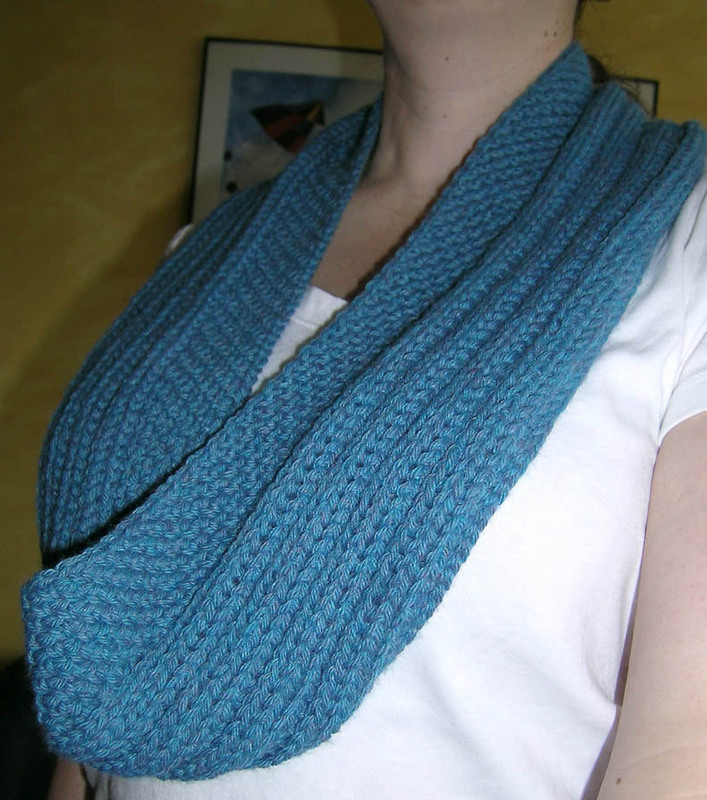 If Sugared Ribs doesn’t work, I would recommend the Weave Scarf and there’s also the Weave Cowl. I just looked at the Chunky Circle Scarf pattern you tried. Yeah, that wouldn’t work well with the Bernat Naturals Alpaca. 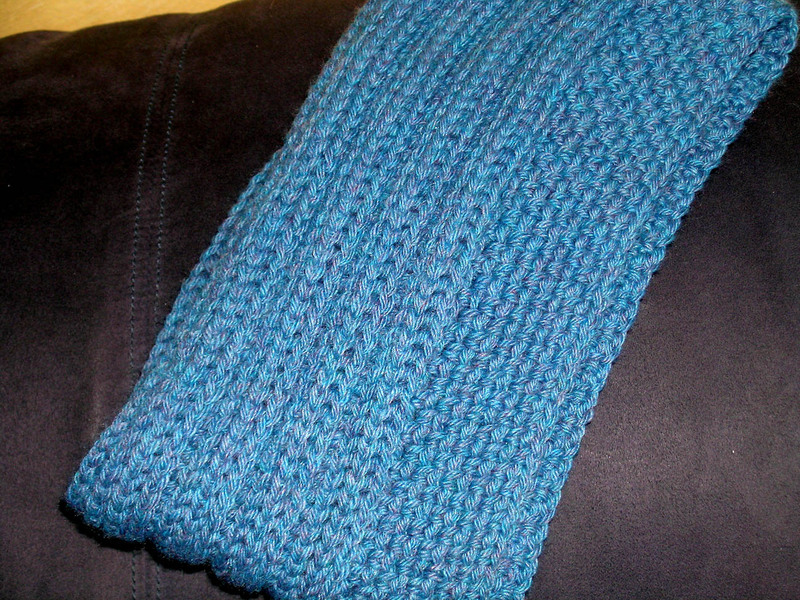 The Weave Scarf worked because it uses post stitches. It seemed to have just the right amount of stitch definition. 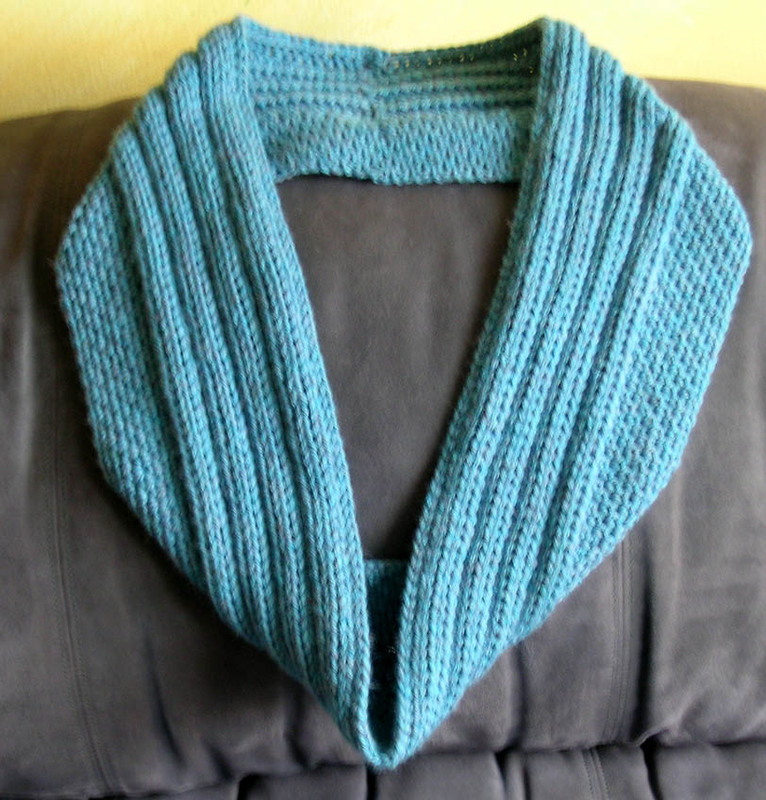 The Chunky Circle Scarf would work better with a wool or an acrylic with good stitch definition. How can I get a printed verison of this pattern? I can’t carry a computer around with me while I am crocheting. You should be able to print the blog post. How many chains for the scarves? 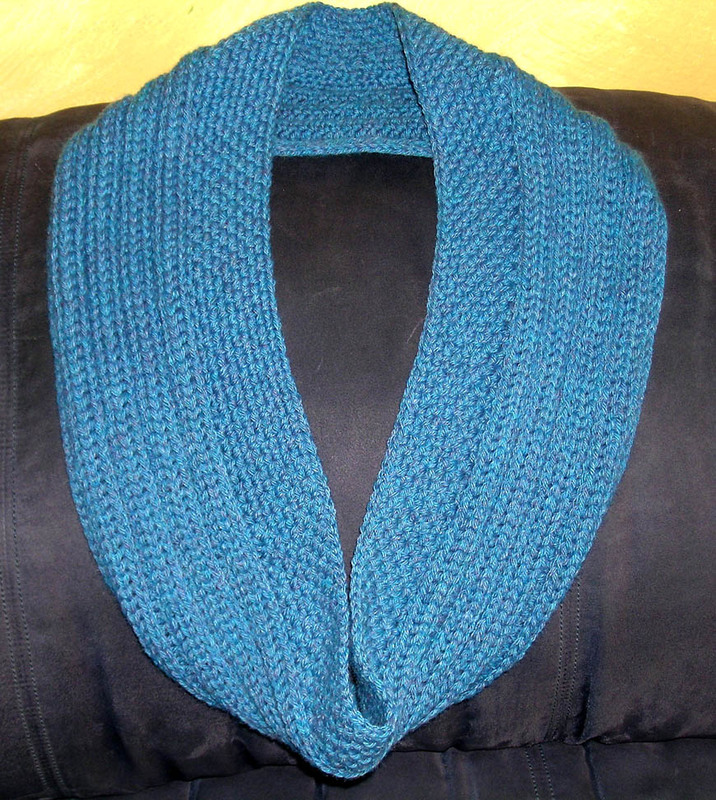 This infinity scarf uses the foundation half double crochet instead of the base chain and a row of half double crochet. 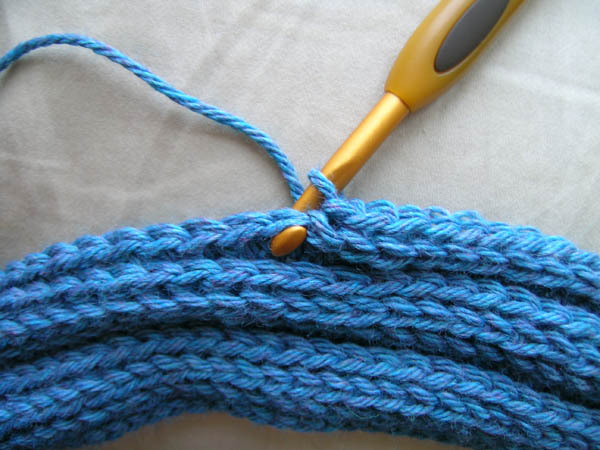 You can start with Ch 176, connect, and start crocheting in the round with 175 HDC. 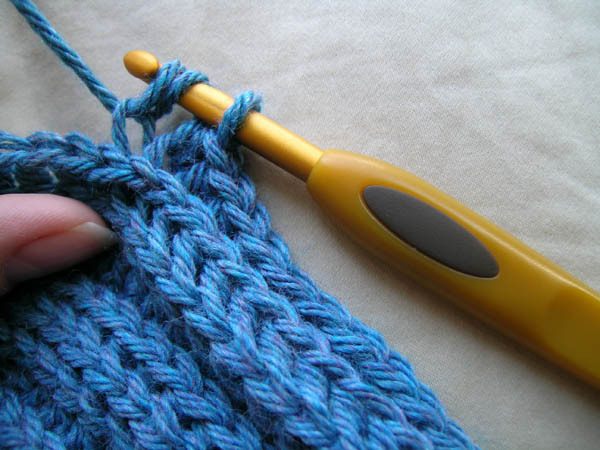 I would highly recommend the foundation half double crochet over the base chain though. I’m having trouble connecting the foundation row. It’s ending up with a gap between the two ends, which is definitely not right. 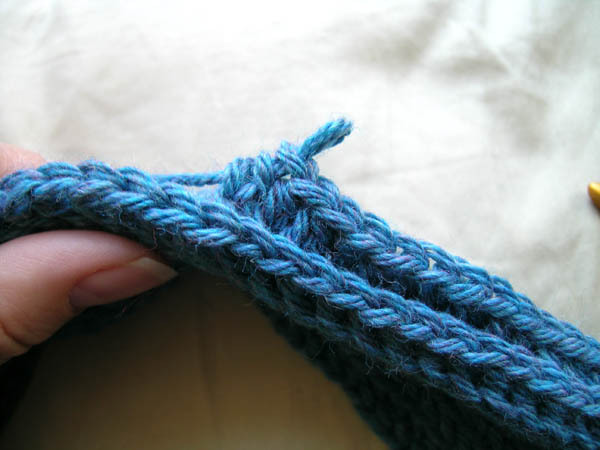 Is there a tutorial somewhere that shows how to connect the ends? Thanks! This is a lovely pattern. I’m old school when it comes to reading crochet patterns. I find the new way of reading patterns today kind of hard. I want to thank you for sharing this pattern and for the way you put it together. Well done! It was very easy for me to read your instructions. .
I’m glad you like it. I know the stitches are unusual and was never sure if it was clear. Absolutely love this ribbing!! Gorgeous. 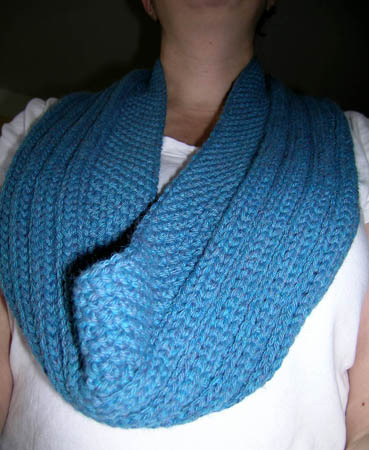 How would I do this if I wanted a regular scarf instead of an infinity? This scarf is worked on the right side only so if you wanted a regular scarf instead of an infinity, you would need to cut your yarn at the end of each row and start again at the beginning of the row. Do not turn your work. You would either end up with a lot of ends to weave in or you could fringe the ends and include the ends in the fringe instead.